Dr. Premal Sanghavi always appreciates feedback from her valued patients. To date, we’re thrilled to have collected 9 reviews with an average rating of 4.78 out of 5 stars. Please read what others are saying about Dr. Premal Sanghavi below, and as always, we would love to collect your feedback. New patient had a very positive experience. Pragmatic, direct, informative, and decisive. All of the qualities I look for in a health care provider. 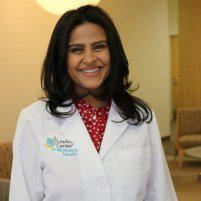 Dr. Sanghavi is a great doctor. She had done a wonderful job for surgery. I was prepared myself to feel severe pain on the breast after surgery, but it turned out to be not much pain at all. I am very satisfy with surgery was done by Dr. Sanghavi. Thank you for such great care that you have provided for me Dr. Sanghavi and anyone else who comes to you will experience the same. Dr. Sanghavi is thorough, proactive, and empathetic. She goes above and beyond such as calling personally to follow up on test results. I highly recommend her. I’ve never had an unpleasant experience. The office staff is always professional and pleasant. I'm very satisfied with Dr.Sanghavi. She's highly recommended.